I don't normally re-direct here at the blog; I reserve that for Twitter. I'll make an exception today. 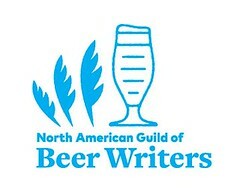 DC-Beer —a blog and website on things beer in the greater Washington, D.C. metro area— published a story yesterday entitled "Meet the Draft Whisperer: Jack Rose's Nahem Simon." It's a piece by the site's editor Bill DeBaun on Nahem Simon. Beginning a few years ago, Mr. Simon made his mark upon the D.C. 'craft' beer scene by maintaining the draught and cask lines for the Neighborhood Restaurant Group —parent to Rustico, Churchkey, and several other locations. Now, he runs the beer lines at two Washington, D.C. restaurants: Jack Rose and Bourbon D.C.
Read the piece. It's a good essay on what a bar owner or manager should think about when he or she serves draught beer. There's a lot more to serving draught than simply opening a tap. There's maintenance and knowledge of product. Don't get me started on ignorance. Mr. Simon is much more diplomatic. Having seen so many badly maintained systems, he feels a responsibility to the consumer. “So many times you have people having the idea that 'draft beer will be better,' but it is often not true because you have employees dipping faucets [into beer], not pouring properly, not cleaning couplers properly,” he points out. “Beer is food, and everything should be maintained to the highest standard of hygiene that you'd treat food with.” It's also out of a sense of duty to folks on the production side of things. After you've read the piece, resolve to serve better draught beer, if you're a bar owner, or to expect better draught beer, if you're a beer drinker. Start by reading this manual from the Brewers Association. Look for some guest posts here soon, at YFGF, on best (and worst) practices for draught beer service. The author will probably spell it "draft". Here, something similar from YFGF: Clean your pipes. WAMU —a Washington, D.C. NPR station— recently interviewed Bill Thomas, co-owner of Jack Rose and Bourbon. Read the transcript: here. 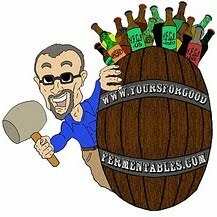 On a personal note, Simon, an artist and friend, designed the logo for Yours For Good Fermentables.